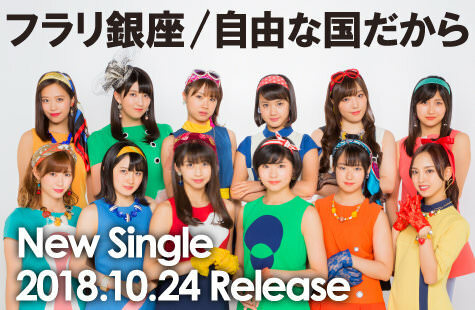 Announced at Morning Musume's 21st anniversary event today, double A-side single "Furari Ginza / Jiyuu na Kuni Dakara" (フラリ銀座／自由な国だから), release is 10/24. Additional track? The return of b-sides? Nice. 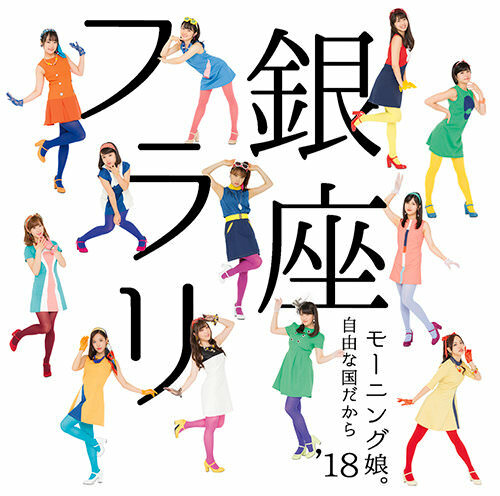 I'm generally doubtful of Tsunku/Okubo combinations, and the Tsunku/Shoichiro combination was the one behind Are You Happy but that one turned out to be quite the bop after all (Tsunku/Okubo was behind A Gonna, though - so it's basically the same as last single. Hm.). And kinda retro? We'll see. The writer of the additional track, Ohashi Riko, was by the way the writer of Tsubaki's Teion Yakedo and Junjou cm as well as Juice's Kindan Shoujo. //EDIT: Jiyuu na Kuni Dakara fan recording from the event today. Ohashi Riko and Kodama Ameko make the best songs. I’m excited Ohashi is making a song for MM! I saw the retro outfits earlier today and I'm already in love. So excited for this single. I really hope the retro song is cute and happy. Yeah, those are my thoughts about it was well. It's better than A Gonna, but I'm not crazy for it. I do hope the first a-side is more funky or something. This group is the definition of stagnant right now LOL. Honestly Tsubaki is getting the best songs rn imo. Mukidashi de Mukiatte? Brand New Morning/Jealousy Jealousy? Jama Shinaide? I like MdM and BNM enough, but I wasn't floored by them. Jealousy is one of those songs that I'll listen to if it pops up in a playlist, but I'm not gonna proactively seek it out, and Jama Shinai just never did anything for me (I like the other songs on that single, though). The point being, I'm not saying I don't like any MM songs since "Utakata Saturday Night", only that I haven't loved any of them. If I'm being honest, "Saturday Night" was the first MM song that I really loved since "Mikaeri Bijin". MdM is my favorite song in the last... 2 years at least. That's my jam lol. But I miss the more funkish/fun songs too. Anyways. Ohhhh I am loving these outfits!! They really are great, except for the lace gloves. Those look ridiculous with those outfits. Flat, stretchy polyester gloves would look so much more appropriate. Yeah, your usual EDM. Eh. There have been reports about Furari Ginza being really good, though, without any solo lines. Man, I really dig the arrangement of the music on the verses, but the chorus sounds like just about every other EDM track they've done since Sayumi left. 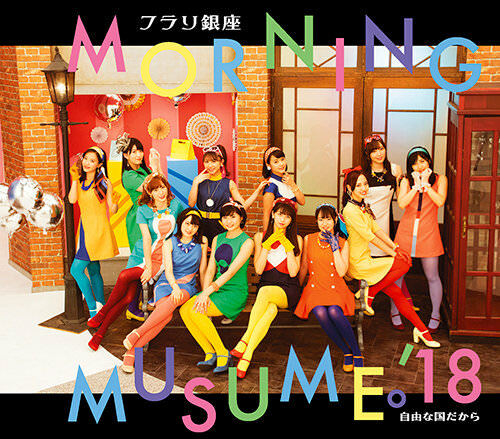 The vocal melodies, harmonies and rhythms on display here are all warmed-over post-Sayu MM'1x. This wouldn't be nearly so boring had they deviated from the formulaic vocal part, but alas, they didn't. I kinda like it. It's more melancholic than funky and I fear that there's gonna be a weird dance bridge towards the end again, but it's quite nice. Reminds me a bit of Hitorijime (the Tsubaki song), Adam to Eve no Dilemma. Those outfits were too cute and funky and wow-it’s-not-white to waste on another boring EDM single. I’m disappointed but not surprised lol. 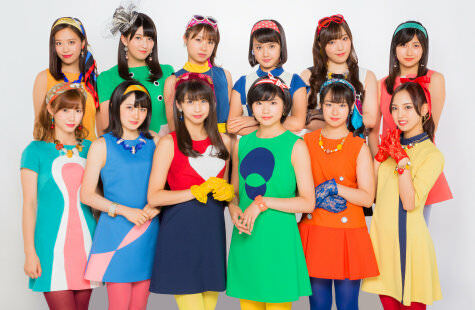 Have any idol groups taken advantage of the growing viral interest in the city pop/future funk scene? 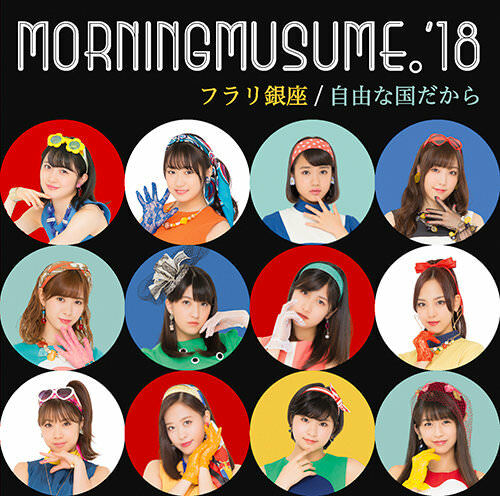 I think that could totally be a thing for them, it could like bridge their fan demographics together by tickling the natsukashii in the OG wota while charming the interest of their newer younger female audience. I don't know that they could do a "proper" future-funk track, since the core of the genre is sampling, re-purposing and looping 70s-80s grooves with little song structure, but they definitely could write new grooves and process them in ways that borrow from the genre, and work them into structured pop songs. I'd be all for that. It would be, if not cutting-edge, at least forward thinking and fresh. Up Front really is risk-averse, which is understandable to a point, but we're now in the second cycle of MM going all Negan on a "sound". I remember writing this in the thread for Wakuteka Take a Chance: "Seems like they're trying to give MM a 'sound,' which is fine until it becomes old." Yeah. The chorus (?, the part with the solos, idk) lacks a bit but the build up is really nice. I actually like it. Oh. I like that, it's exactly what I was expecting when I saw the outfits. I'm liking this single overall. I hope the PVs aren't crap. I like the song -- it's very W -- but something about the arrangement annoys me. 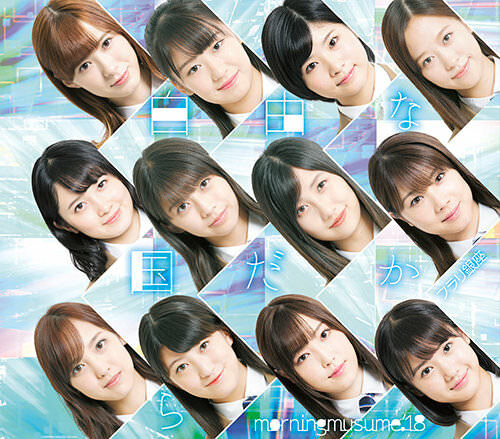 I like Furari Ginza a lot, I've been aching to hear a song like this from MM for a long while now. Very calmingly funky, lol. The A's and the SP are fantastic. The B's, not so much. LA: Same easy retro execution as SP, but definitely more fully 60s-retro. This is a bit more whimsical and fun, but I like the way the SP "pops" a bit more. Also awesome. RA: Modern. Colorful. Fun. A bit busy, though. Still, very good. LB: The de rigeur school outfits are fine, as is the photo, but the background and fonts are straight WTF. RB: The 45-degree angle photo layout makes my head hurt. I hate this one. I like RA the best, it looks like a promotional shot of a soap opera. But oh my god, the covers!! Regular A is probably one of the best covers MM has had in a long time, it's got these retro details and I love it.